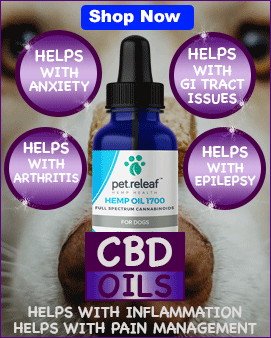 Celebrate the holidays Up Country style! 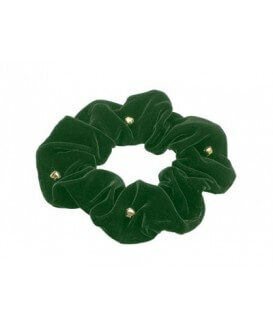 Every dog deserves a beautiful Ruff to wear during the holiday season. 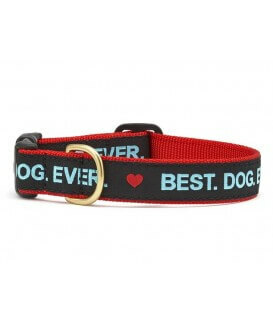 The wish list built into the collar. 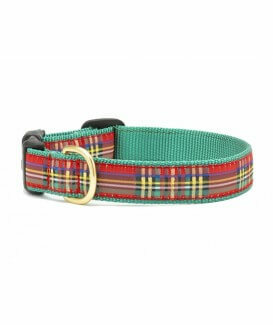 Your pup will look so festive in one of these holiday collars. Up Country's collars are made from high-tensile strength nylon webbing with sewn on polyester/nylon ribbons. Our ribbons are stain and fray resistant; designed to last a lifetime. All collar hardware is cast, not welded brass for extra strength. Our buckles are Coast Guard approved for high weight hold. They are machine wash cold, air dry. Can never go wrong with wearing plaid especially during the holidays. 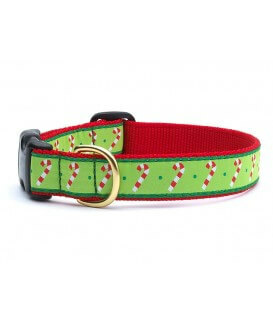 Your pup will look so festive in one of these holiday collars. 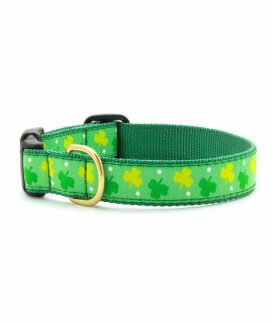 Up Country's collars are made from high-tensile strength nylon webbing with sewn on polyester/nylon ribbons. Our ribbons are stain and fray resistant; designed to last a lifetime. All collar hardware is cast, not welded brass for extra strength. Our buckles are Coast Guard approved for high weight hold. They are machine wash cold, air dry. 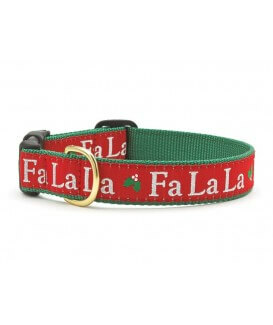 'Tis the season to be jolly in their Fa La La collar. 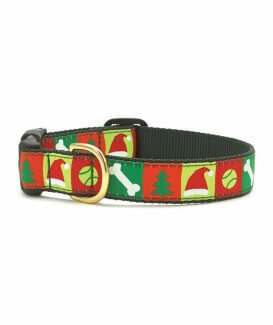 Your pup will look so festive in one of these holiday collars. 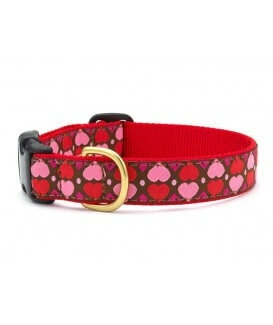 Up Country's collars are made from high-tensile strength nylon webbing with sewn on polyester/nylon ribbons. Our ribbons are stain and fray resistant; designed to last a lifetime. All collar hardware is cast, not welded brass for extra strength. Our buckles are Coast Guard approved for high weight hold. They are machine wash cold, air dry. 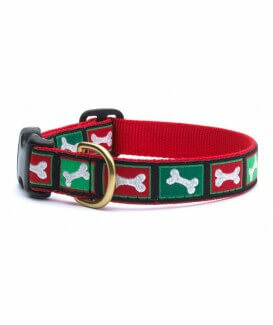 This Christmas Bone Collar with all the colors of Christmas will look festive on any pup. 'Tis the season to look our best. Up Country's collars are made from high-tensile strength nylon webbing with sewn on polyester/nylon ribbons. Our ribbons are stain and fray resistant; designed to last a lifetime. All collar hardware is cast, not welded brass for extra strength. Our buckles are Coast Guard approved for high weight hold. They are machine wash cold, air dry. 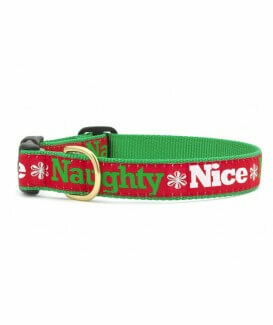 Naughty or Nice your pup will look so festive in one of these holiday collars. 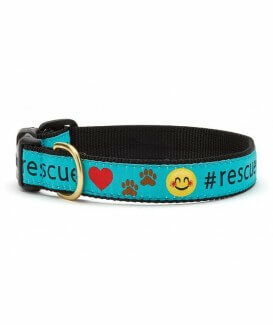 Up Country's collars are made from high-tensile strength nylon webbing with sewn on polyester/nylon ribbons. Our ribbons are stain and fray resistant; designed to last a lifetime. All collar hardware is cast, not welded brass for extra strength. Our buckles are Coast Guard approved for high weight hold. They are machine wash cold, air dry. 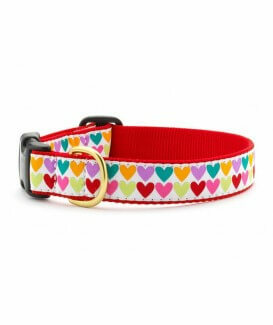 This Candy Cane Collar will look festive on any pup. Tis the season to look our best. Up Country's collars are made from high-tensile strength nylon webbing with sewn on polyester/nylon ribbons. Our ribbons are stain and fray resistant; designed to last a lifetime. All collar hardware is cast, not welded brass for extra strength. Our buckles are Coast Guard approved for high weight hold. They are machine wash cold, air dry.